Over and over again, the message society sends us is that a woman's beauty should determine her worth. But celebrities, influencers and politicians aren't buying it anymore. Despite the haters and trolls who lurk on social media, these inspirational women dare to be themselves, speak out and take up space. Here are 20 empowering quotes about body love, feminism and self-acceptance from some seriously strong and inspiring role models. "If someone told me that I was stupid or that I wasn't a leader or that I wasn't witty or quick or perceptive, I'd be devastated. If someone told me that I had a gross body, I'd say, 'Well, it's bringing me a lot of happiness,'" Mindy Kaling writes in her second book, "Why Not Me?" Mindy Kaling's credits include writer and actor on the Emmy Award-winning show "The Office," writer, actor and executive producer on "The Mindy Project" and best-selling memoirist. She offers women a realistic take on body positivity: In her world, women are allowed to care about how they look — they just don't need to base their entire self-worth on it. "Someone once told me my thighs were 'cellulite city.' 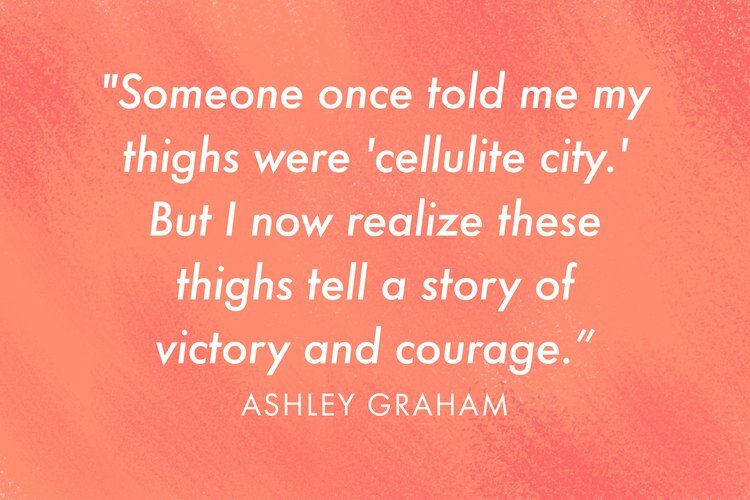 But I now realize these thighs tell a story of victory and courage," Ashley Graham says on Instagram. Ashley Graham was one of the first two plus-size models to ever be featured in a Sports Illustrated Swimsuit Issue and the first to appear on its cover. The plus-size lingerie designer, who has long been an advocate for body positivity, released a collection of essays last year called "A New Model: What Confident, Beauty, and Power Really Look Like," in which she shares her personal experiences with sizeism and encourages women to develop a healthy body image. "Being a fat, transgender Latina might not be the norm, but I'm OK with that. I decided that my happiness was more important than fitting in, and I'm never looking back," Gia Natalia Narvaez captions an Instagram post. Gia Natalia Narvaez, a transgender, body positive Instagram influencer, embraces the labels that others use to bring her down. With over 23,000 followers on Instagram, she uses her platform to challenge oppressive beauty standards and encourage people to love themselves unconditionally. "There is no boy at this age that is cute enough or interesting enough to stop you from getting your education. 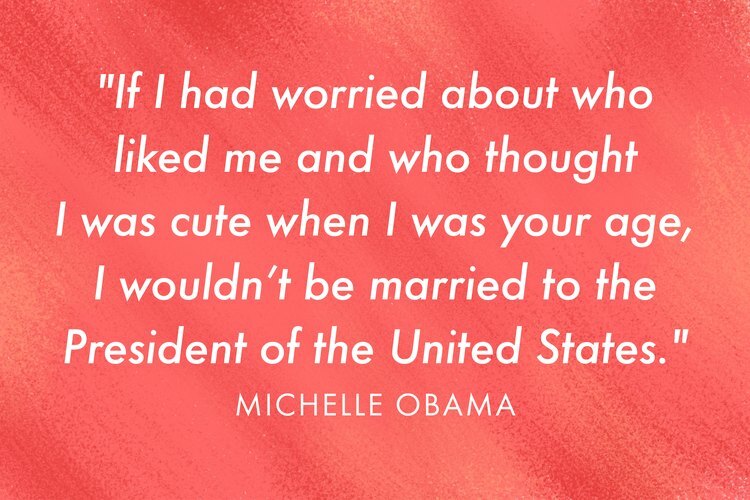 If I had worried about who liked me and who thought I was cute when I was your age, I wouldn't be married to the President of the United States," Michelle Obama said at an event hosted by Glamour magazine. Former first lady Michelle Obama is living proof that we can be intelligent, graceful, beautiful and badass all at once. She launched the Let Girls Learn initiative in 2015 to reduce barriers to education for young women across the globe. "It's more if I'm happy and confident and feeling good, that's always been my thing," Kelly Clarkson tells Heat Magazine. "American Idol" winner Kelly Clarkson, who's been open about her struggles with body shaming and disordered eating, uses her confidence and music to empower other women to love themselves. 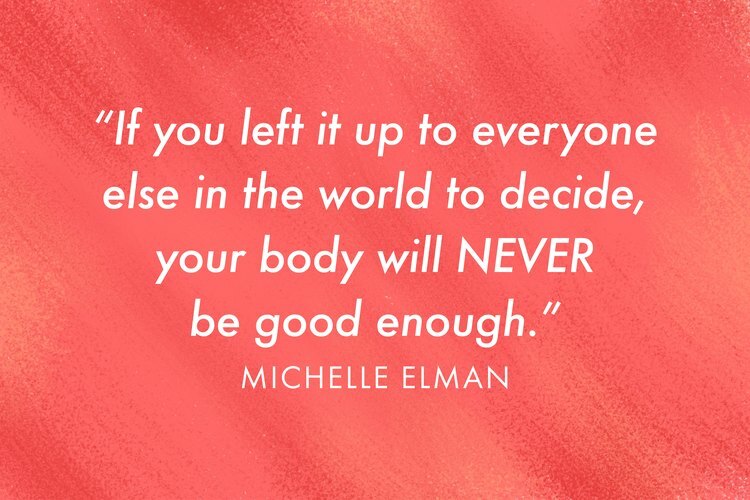 "If you left it up to everyone else in the world to decide, your body will NEVER be good enough," Michelle Elman says in an Instagram post. After a photo of her in a bikini went viral in 2015, Michelle Elman launched her career as a body confidence coach. Having survived 15 surgeries for various illnesses, the U.K.-based activist encourages women to embrace their scars. She shares her journey to self-acceptance in her upcoming book, "Am I Ugly?" "My confidence is being myself and not giving a damn about what anyone says," Denise Mercedes shares on Instagram. New Jersey-born Dominican model Denise Mercedes launched the #becauseitsmybody campaign on Instagram to create an inclusive, body-positive community for anyone who's ever felt alienated because of their appearance. "When no one would choose me for my size, I chose myself," Katie Willcox tells Shape. Katie Willcox, who founded the Natural Model Management agency and Healthy Is the New Skinny, went viral for her iconic appearance in O, The Oprah Magazine depicting, as the Healthy Is the New Skinny website describes, "what an average woman would need to alter on her body in order to look like Barbie." "I keep telling myself that I'm a human being, an imperfect human who's not made to look like a doll, and that who I am as a person is more important than whether at that moment I have a nice figure," Emma Watson tells Britain's Glamour magazine. As impossible as it sounds, even "Harry Potter" actor Emma Watson struggles with body image. She's a Goodwill Ambassador at U.N. Women, a role in which she advocates for gender equality, and has worked in Bangladesh and Zambia to promote girls' education. "I really owe everything to the fact that I look like this. The fact that I'm successful not despite [my body] but because of it blows my mind," Barbie Ferreira tells StyleLikeU. Ferreira emerged from New York's indie fashion scene as one of American Eagle's unretouched aerie Real models. The 21-year-old plus-sized model uses her Instagram profile as a platform to advocate for body positivity and shed light on issues faced by bigger women, such as having her stretch marks mistaken for scars. She's been featured by Missguided, ASOS, i-D Magazine and Teen Vogue. "No longer depriving myself of treats (in moderation) and I'm not gonna lie, I put on a couple lbs since I've given up dieting BUT I've given up the chronic stress of what I eat because I don't want to set that example for my fans. No more food shaming myself!!" Demi Lovato recently tweeted. Demi Lovato has been a longtime advocate of body positivity and mental health, revealing in her 2017 YouTube documentary "Simply Complicated" that she struggled with drug addiction earlier in her career and still battles disordered eating. The Disney Channel actor-turned-pop star will be offering free therapy on her upcoming Tell Me You Love Me tour. 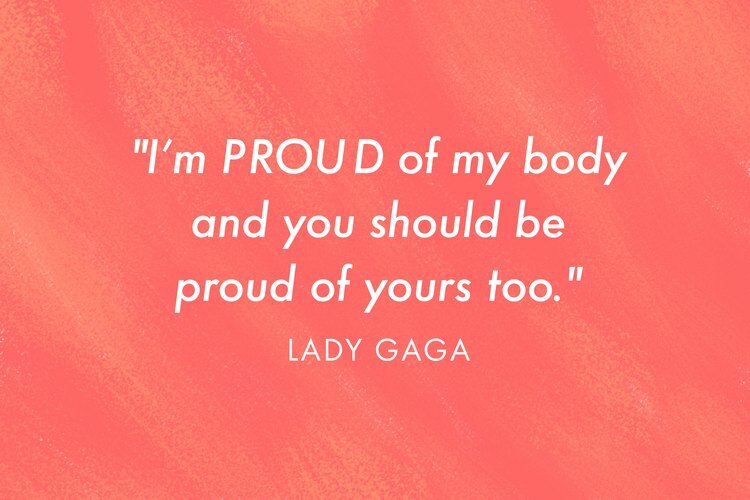 "I'm proud of my body, and you should be proud of yours too. No matter who you are or what you do. I could give a million reasons why you don't need to cater to anyone or anything to succeed. Be you, and be relentlessly you. That's the stuff of champions," Lady Gaga captions an Instagram post. Six-time Grammy-winning singer, songwriter and actress Lady Gaga founded the Born This Way Foundation, a youth advocacy group. She's a major proponent of LGBTQ equality and has recently been outspoken about her struggle with fibromyalgia. Gaga has also been very vocal about removing the stigma surrounding mental health issues. "You end up in fewer situations where you're genuinely uncomfortable because you're trying to be like somebody else or trying to embody something that has nothing to do with who you are. [Asking yourself,] 'How do I feel?' instead of 'How do I look?' – that's the crux of everything," Jessamyn Stanley tells Self. Jessamyn Stanley gained a cult following of more than 350,000 people on Instagram for sharing her journey as a fat, queer yogi of color. Last year she published her first book, "Every Body Yoga," which outlines her body positive approach to yoga. 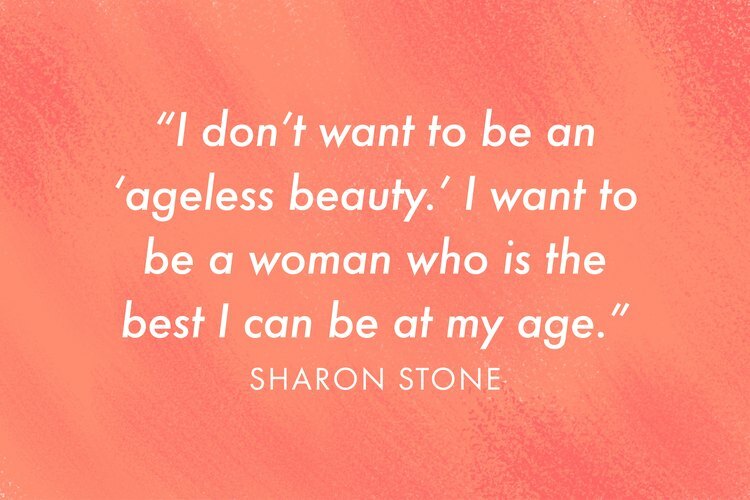 "I don't want to be an 'ageless beauty.' I want to be a woman who is the best I can be at my age," Sharon Stone tells Shape. Actor, model and producer Sharon Stone, best known for her role in "Basic Instinct," uses her platform on social media to combat ageist beauty standards. "I refuse to let something as insignificant as a size or number on a scale determine how I feel about myself. I am grateful for my body, my health and the life that I have, and no arbitrary number should have any impact on that," Iskra Lawrence writes for Harper's Bazaar. British model Iskra Lawrence stunned the world when she appeared in an unretouched lingerie campaign for aerie. She's now a brand ambassador for the National Eating Disorders Association, and she recently launched everyBODYwithiskra, a subscription-based health-and-wellness program. "I'm proud to be on a positive show and to be a voice for girls and say, 'You don't need to look like everybody else. Love who you are,'" Lea Michele tells People. Fans of "Glee" might think that Rachel Berry's self-comparisons to Barbra Streisand were dreamt up by the show's writers, but actress Lea Michele has proudly shared that her likeness to the award-winning filmmaker has actually helped her in real life by preventing her from getting plastic surgery in high school. Along with inspiring people to embrace their bodies, Michele uses her platform to advocate for animal rights. 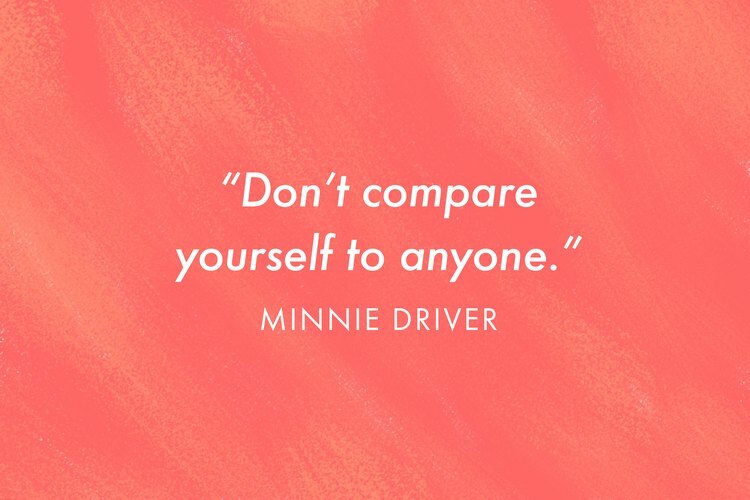 "Don't compare yourself to anyone," Minnie Driver said in an interview on "Today." Actor, singer and songwriter Minnie Driver is a vocal supporter of women's rights, using Twitter to share her views on politics, Hollywood and more. "There's only one of you, so why would you want to look like everyone else?" 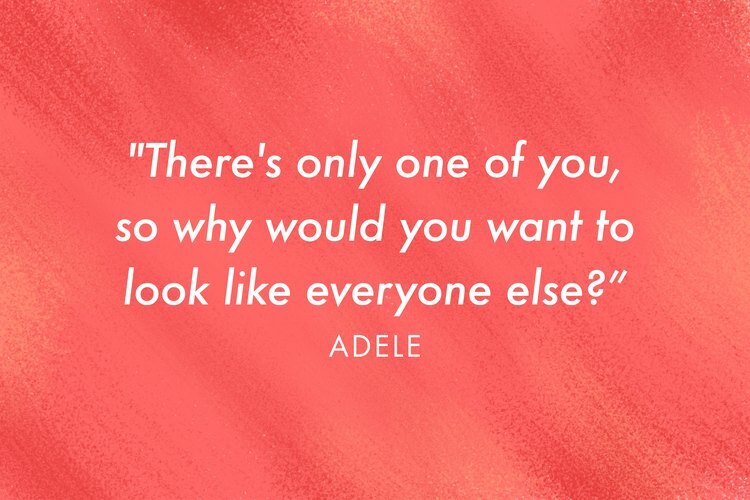 Adele says during a SiriusXM Town Hall. Grammy-winning singer-songwriter Adele has said that she's proud to represent the majority of women when it comes to her body, proving that there's more than one way to be an entertainer. "My body has given me the greatest gift of my life: Luca, 5 years ago. I'm turning 30 in September, and my body is healthy and gets me where I need to go. 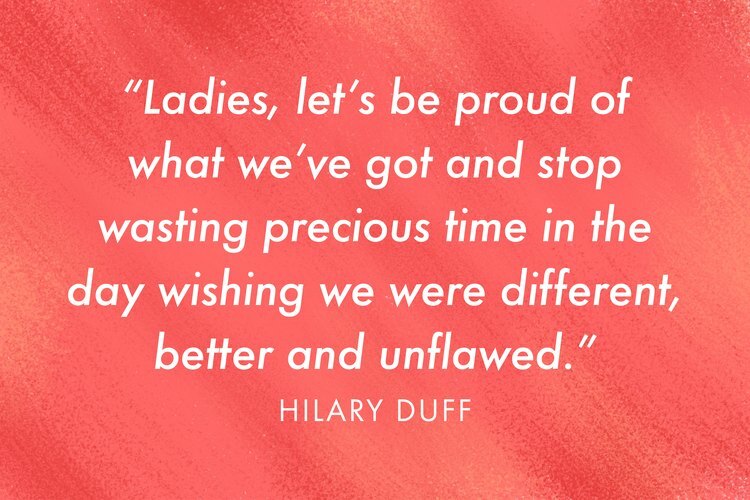 Ladies, let's be proud of what we've got and stop wasting precious time in the day wishing we were different, better and unflawed," Hilary Duff captions an Instagram post. Hillary Duff has been #relatable since her days on Disney Channel as Lizzie McGuire. Now she's showing her fans that even celebrities have "flaws" like cellulite and stretch marks, and that's not stopping her from living her best life. "I'm happy with me, y'all," Selena Gomez captions an Instagram post. When singer and actress Selena Gomez posted a photo of her in a bathing suit during the summer of 2015, haters were quick to call out her weight gain. How did the "Running With the Wolves" singer respond? With another bikini pic, proving that confidence comes from within. Since revealing her Lupus diagnosis in 2015, Gomez has been open about her struggle with anxiety and depression and is a vocal advocate for self-care and therapy. HOKU KRUEGER is a freelance health and fitness writer. Her writing has appeared on LIVESTRONG.COM and in the Maui News. Follow her on Twitter @HokuKrueger. Check out LIVESTRONG's Stronger Women series to get more inspiration and actionable life tips from female leaders and change-makers in wellness, fitness, entertainment, sports and business.